If you’ve always imagined Ireland as a mythical place with rolling hills and rugged mountains, a new tour route called the Wild Atlantic Way will prove it. It’s a long distance drive that stretches right down the west coast of Ireland. Over 1500 miles from Malin Head in County Donegal in the North to Kinsale in County Cork in the South, taking in cliffs and beaches, ancient sites, modern sports, the heartiest food and the best pint of Guinness. Here are a couple of our picks along the coast for holidays in Ireland. Steeped in absolute natural beauty, Dungloe in County Donegal is pretty close to heaven on earth. The intensely rugged coastline is totally unspoilt. Walk the soft sands of Cloughglass Beach and soak up the view over the wild Atlantic Ocean. Visit Mount Errigal only 30 minutes’ drive from Dungloe and a great choice for hiking and walking fans. Head down the coast via Sligo before you hit County Galway. It’s good for foodies, for nature lovers or aspiring musicians. There is something for everyone in Galway. Take in the Galway Food Festival or the Clarinbridge Oyster Fest. One of our favourite things to do is a visit to the beautiful Aran Islands, just off the coast. This isn’t the island hopping you might be used to. Grab a rental bike and soak up gorgeous views, amazing historic sites and lots of fun on the ‘Islands of Saints and Scholars.’ Head into Galway City where you will find the perfect pint of Guinness in a traditional pub like Tigh Neachtains. Galway City is home to some of the best live traditional music too and Tigh Coili or Monroe’s have lively trad nights most days of the week. Visitors on their way through Clare will get a surprise with the lunar landscape of the Burren, an absolutely unique national park, with rich natural limestone grasslands and woodlands of ash and hazel trees. Discover wild flowers on a nature walk, learn about the geology of the park or simply take a walk and soak up the wild beauty. From there, the Cliffs of Moher offer a magnificent frame for the Atlantic Ocean. Stretching for five miles along the coast, on a clear day you can take in the Aran Islands, all the way to the Blaskets in County Kerry. Surfing and Ireland: you wouldn’t often put them together would you? 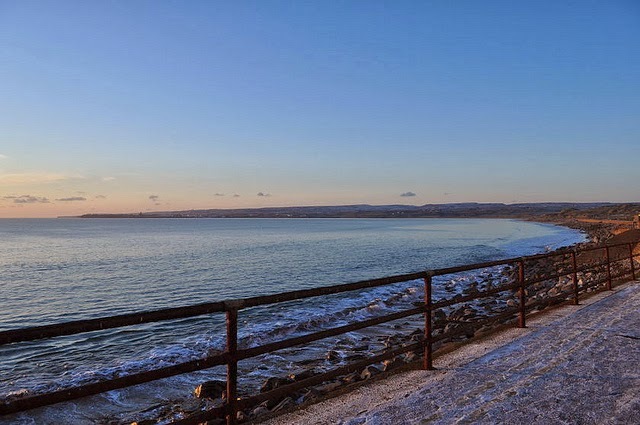 Lahinch, a small town on the coast has become something of a surfing hot spot in the last few years, with lots of surf schools along with hotels or hostels and some great pubs. Finish up your visit to Ireland with some of the best things in life: food and music. West Cork is not only famous for outstanding natural beauty, it also packs a punch with its cultural and culinary departments too. Visit Clon (as it’s known locally) for its blue flag beaches, summer of festivals and extensive network of traditional music sessions. Go to De Barras for a truly authentic experience. Kinsale is something of a gourmet capital, with pubs, cafes and restaurants to suit any budget. Try the seafood chowder, crab claws or simple fish and chips, you will not be disappointed.